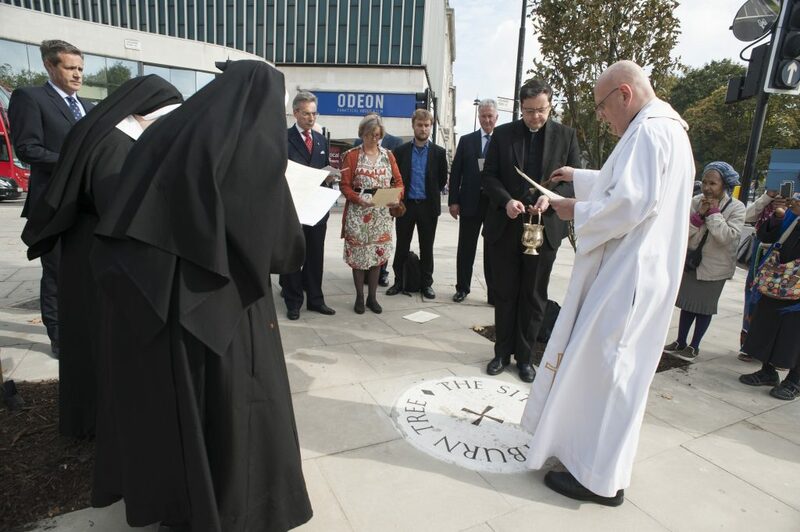 This follows our repairs to the stone five years prior in 2014, followed by a ceremonial tree planting with the local Tyburn Convent, Transport for London and Westminster City Council honouring the location of the commemorative plaque. The tree planting saw three oak trees, to represent the three-legged Tyburn gallows surrounding the stone plaque. 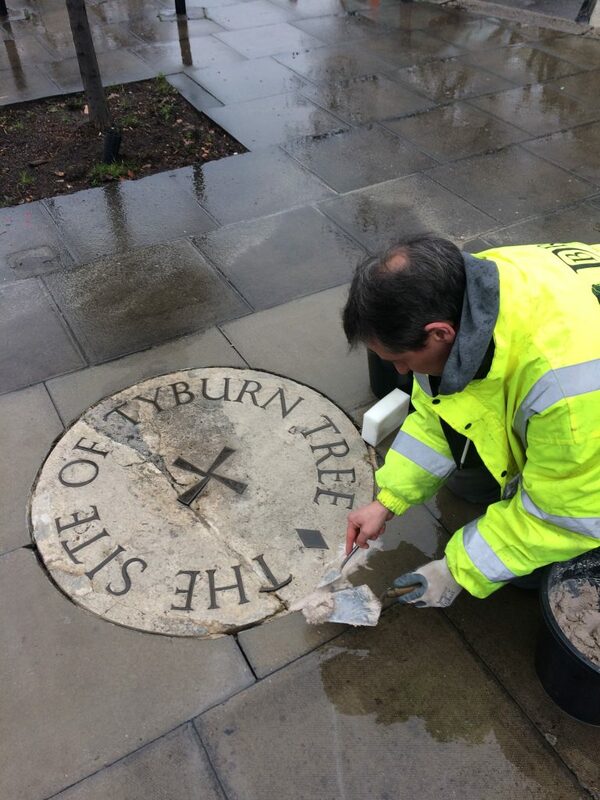 The first plaque honouring Tyburn was first laid in 1909, which was replaced by the current plaque in 1964. Each year thousands of people make a pilgrimage to the stone plaque. Although hundred cross over the Tyburn stone plaque every day, few stop to think of its significance and the area’s cultural relationship with it. The plaque marks the approximate location of the Tyburn Gallows and forms a key part of the area’s history. 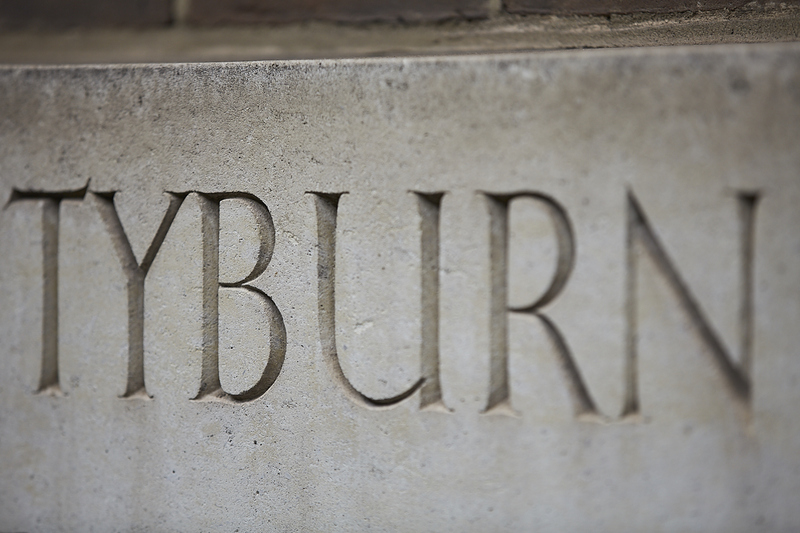 Tyburn, a village close to the current location of Marble Arch, means ‘place of the elms’ as it was originally positioned adjacent to the Tyburn Brook, a tributary of the lost Westbourne River. 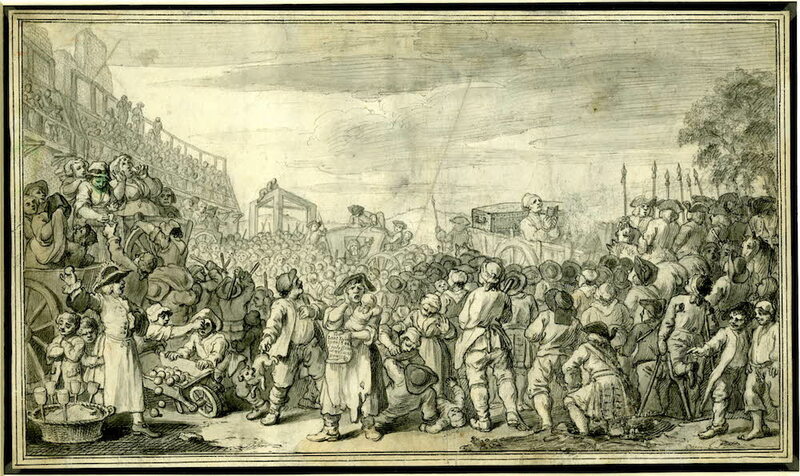 Despite this sounding like a picturesque English village, Tyburn became synonymous with fear, death and justice as it became the spot of mass executions for over 650 years. A first of its kind, executions at Tyburn were known for the ‘tree’, a triangular wooden gallows where criminals were hanged to death in large numbers. In fact, in 1571 the largest of the ‘Tyburn trees’ was created that could hang up to 24 criminals at a time. “What carriages below these skies came rolling by on Mondays.